I can’t really believe I am thinking about Christmas in September … not sure how this panic has happened but there we are! I know you love to make things for the season well in advance. But to appease that need I have to start thinking about it in June! But here we are all ready now. 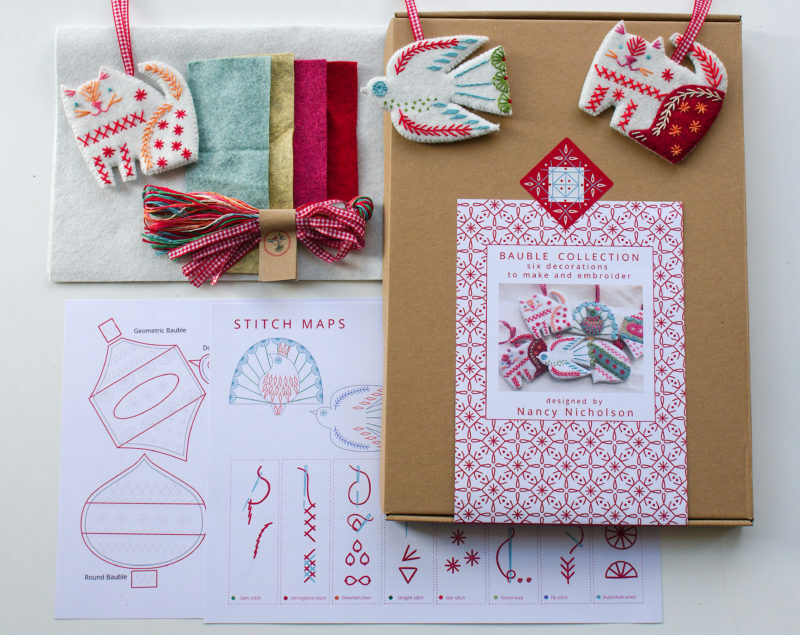 Below is the Christmas Bauble collection to make. A bigger box this time with all the felt you need, some craft foam and ribbon, thread and patterns and instructions. You will have, at the end of your labours, two cats, two birds, two baubles. 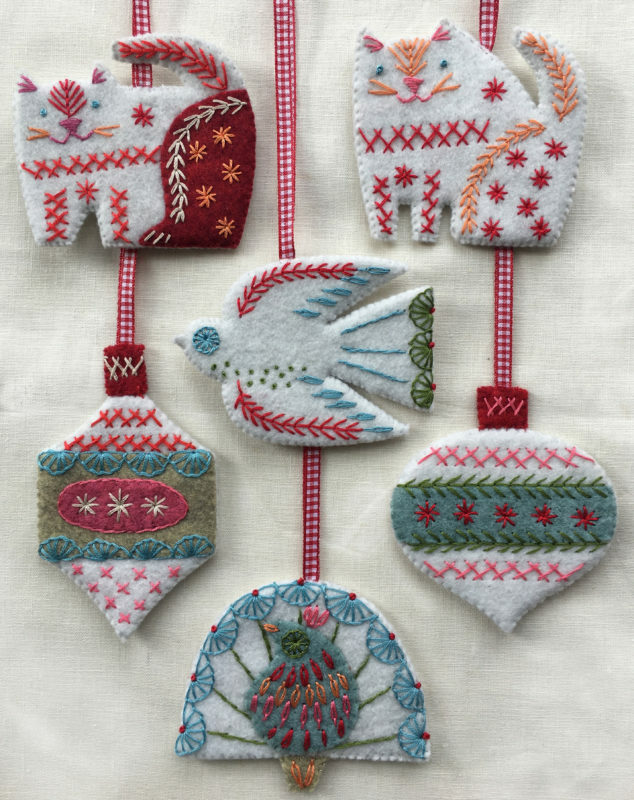 And if you have made the Flat Baubles from last year you will be familiar with the technique. 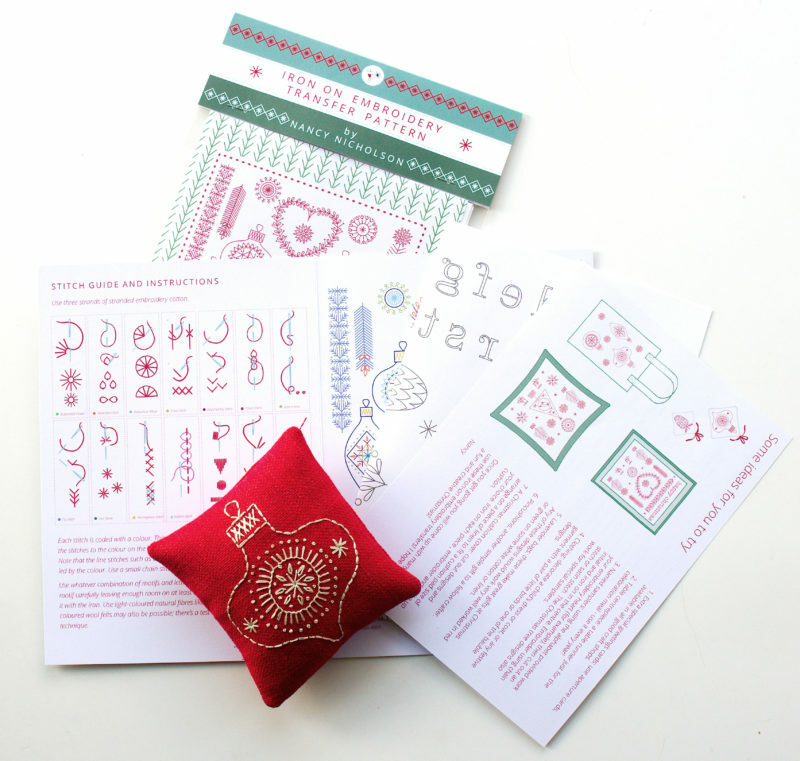 Then scroll down to see the other two kits of Iron on transfers I have for you to try too. 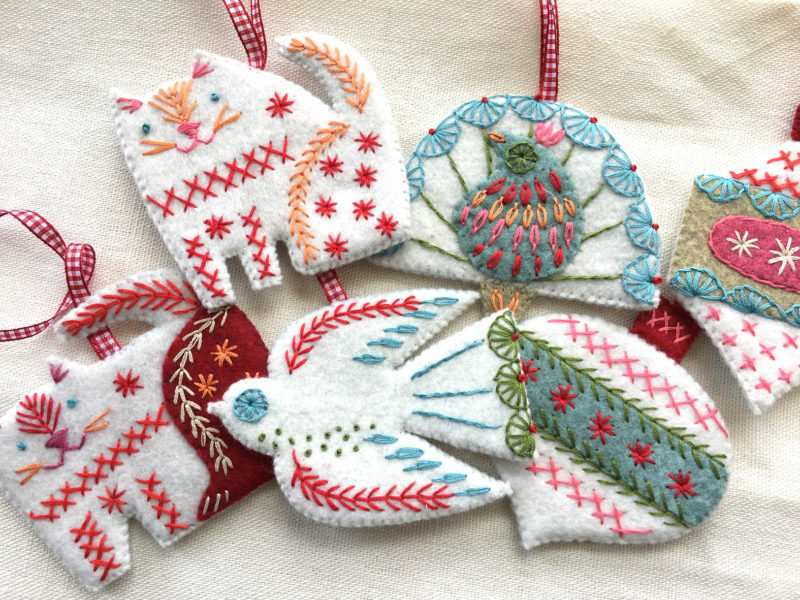 There is a pattern for the little felt pocket which you can string as I have done here, or you can dot the about the house for loved ones to find on each day. There’s enough room inside for the ubiquitous chocolate coin, or a small present. I hope they will please … they do not take long, I found I could do about 6 each night if the telly was good. This is my favourite as it has so many applications! There is also an alphabet to personalise your project. 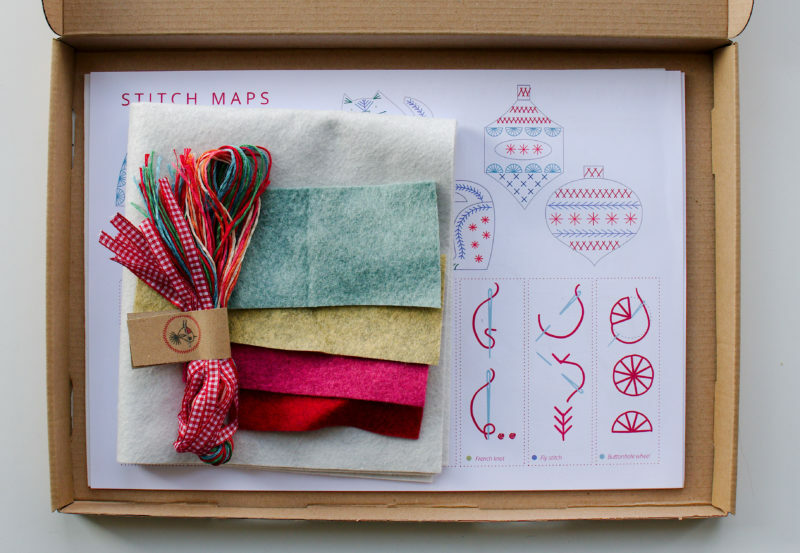 In this kit you get the iron on transfer, instructions, stitch guide, stitch map. You will need to buy some stranded embroidery thread (I use DMC) ribbon, felt or other cotton fabric works well too. 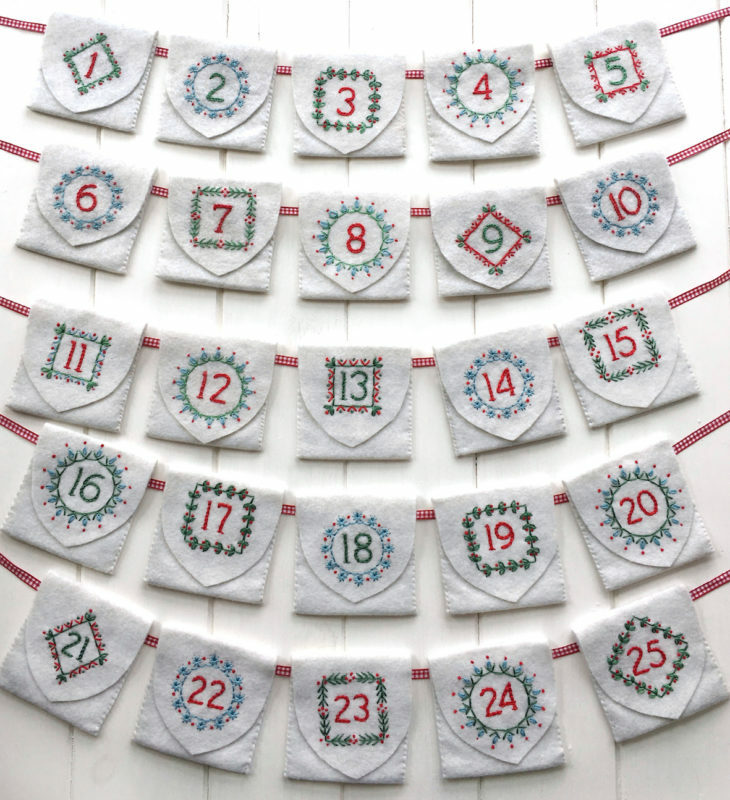 Apply to decorations, aprons, bags, clothes, tablecloths, napkins greetings cards, cushions, Christmas samplers … and many other things! 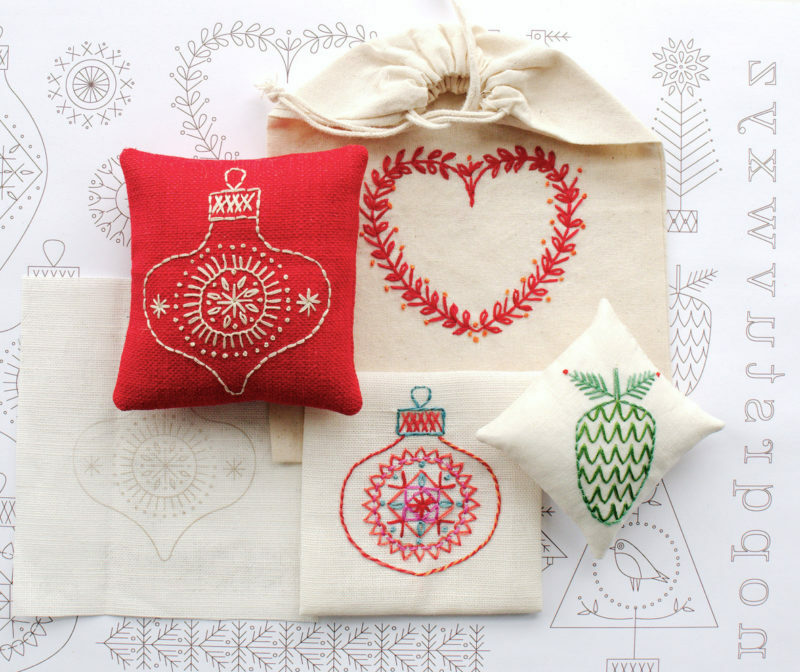 This entry was posted in Tutorials and tagged Christmas Bauble, Embroidery, Embroidery kits, Iron On Embroidery transfers, sewing.